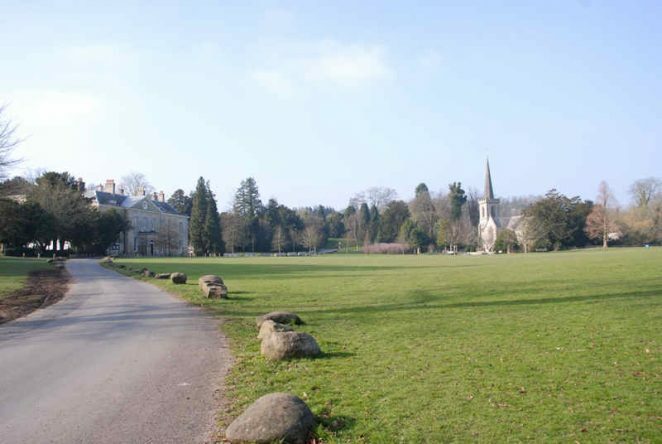 a) HISTORY: Stanmer is an unspoilt and attractive estate village situated in the middle of Stanmer Park, and together with the park has been designated an outstanding conservation area. In 765 the manor of Stanmer was granted to the College of Benedictine Canons at South Malling and it remained their property until the Reformation, but in 1714 the estate was acquired by Henry Pelham for £7,500 and remained in the Pelham family, the earls of Chichester, until 1947. In 1086 the population was around 300 but remained at about 120 throughout the nineteenth century and into the first half of the twentieth. In November 1947 the Stanmer estate was acquired by Brighton Corporation, 4,958 acres being purchased for £225,000 less a claim for military damage, and was bought principally to safeguard the water supply, to preserve the downland, to provide a recreational area, and to provide land for housing and educational developments. The purchase included both Stanmer and Falmer villages, six farms, and about 500 acres of commercial woodland. The estate, mansion and village of Stanmer, which had been occupied by the military for the duration of the war, were restored by the corporation and reoccupied in 1948. I was an apprentice with Seeboard 1955/60 and twice worked in Stanmer Park. Once installing heated seedling beds in greenhouses to grow the plants for the Steine gardens, and again when the University was built. My mate Keith Heasman was married in the Church.